Necessity is the mother of all inventions. Whenever there is a need or a demand, there is some kind of invention that leads to the creation of something new. Back in the days, when industrialization was just about to begin, never had people anticipated that there will be an entire industry that will operate and function on the selling of products and services. This billion dollar industry is that of advertising and PR. When you look around you these days everything is about product placement, pricing, and promoting. The earlier model of doing this was restricted to newspapers, radios and later the television as well. However, today with the rise and boom of the tech and digital entertainment era, newer and faster mediums of advertising are on the rise. One such medium that has evolved slowly but efficiently is that of YouTube. Probably one of the fastest growing video sharing channels of all times, YouTube was launched for the rest of the world on 14th February 2005. From 2005 to 2021 the number of users for YouTube will be almost 1.86 billion and that too globally. With gigantic numbers like this, naturally, it didn’t take long for business owners to start marketing their products /services on a channel which has such a huge following. In fact, the one feature that got YouTube instant followers was how easy it was for almost everyone to create a channel of their own! The more one posted the more followers and likes they get. Fun Fact, the first company to use YouTube as an advertising medium was Nike! The company uploaded a video in 2005 which showed Brazilian soccer player Ronaldinho receiving his pair of Golden Boots. This one video itself gathered one million hits! Probably it was Nike which took its tagline “Just Do It” that paved the way for YouTube to act as a medium for advertising thereon. 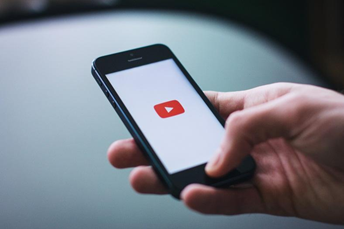 Not just brands and companies, YouTube became an ideal platform to sell and introduce to the world new talent. Wondering how that is possible? Well, for starters the pop sensation Justin Bieber was launched on YouTube by Usher in the year 2009, and look where the ‘Baby’ has reached today! There are tons of examples that can be put forth that will show how effective YouTube has become a medium to advertise almost anything and everything. 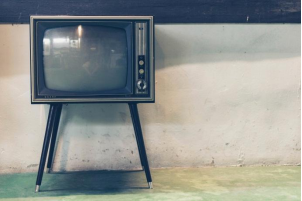 If we rewind to a few years back, the reigning king of the advertising world was another tubed device – the television. We all remember getting interrupted by commercials every now and then. At that time, probably it was the most effective modes of letting people know about your product. This effectiveness has gone down marginally with the rise of competitive mediums like YouTube. Though there are plenty of similarities between both these mediums, BUT there are even more differences. Let us take a look at understanding how these differences have eventually made YouTube a more preferred advertisers. The first and major difference is the amount of money that an advertiser has to shell out to market their brand. When booking air time on the television, a chunk amount needs to be paid irrespective of the outcome (the number of people who actually see the ad). However, in the case of YouTube, the advertiser pays only when a subscriber has actually seen the entire ad and not skipped right through it! So, in the most ethical ways, YouTube asks an advertiser to pay only for the genuine views that they get. Now, that’s a sweet deal that one doesn’t get when advertising on the T.V. When one plans on advertising on the television they need to plan a lot in advance. Budget forecasting needs to be done and post the advertisement one needs to assess the ROI against the investment made on the commercial. In short, a lot is spent as hidden costs when advertising on the TV. YouTube, on the other hand, is still new on the advertiser’s block. This is why the ad space is comparatively easy to shell out, since there is not too much competition yet, and one need not plan and keep aside a barrel of investment to host an ad on YouTube. YouTube with all the video sharing has a wide range of audience following as well. The best part of YouTube is the range and demographic that a prospective advertiser can target. Depending on the product that you want to advertise you can choose when what time and which region you want to target the most. Selective capturing of the masses is as easy as clicking a like button on YouTube. According to a report by Nielson, YouTube is now pulling 1.8 billion users every month! This has definitely made YouTube the most popular service of all. There is no prize for guessing that every ad you post will get that ultimate boost by reaching these billions. Though the prospective audience can skip the ad after 5 seconds, that still means they view it at least for those 5 seconds! That is definitely a better chance that one can take. When an ad is viewed on TV the audience has to either go out and buy it or wait for the appropriate time to make time to buy it. On YouTube, however, when you see something you like, all you have to do is click a link and be redirected to the home page of the product to finally buy it. That’s how simple it is! 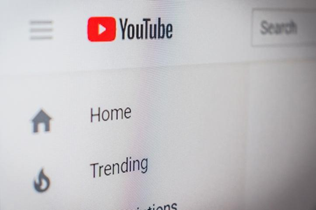 This list has been able to show just some of the differences which become the strong point for YouTube to be the more favored medium to advertise. The era of TV commercials has slowed down if not faded, and with more people now migrating to become YouTubers, this percentage will only increase. It is safe to assume that YouTube is on its way to make TV advertisements obsolete. James is a writer, blogger and an education freak who keeps on exploring the education industry. He is currently working with GoAssignmentHelp from past few years and has been indulged into delivering ‘my assignment help’ and work projects for students. Connect with him through LinkedIn for his latest updates.